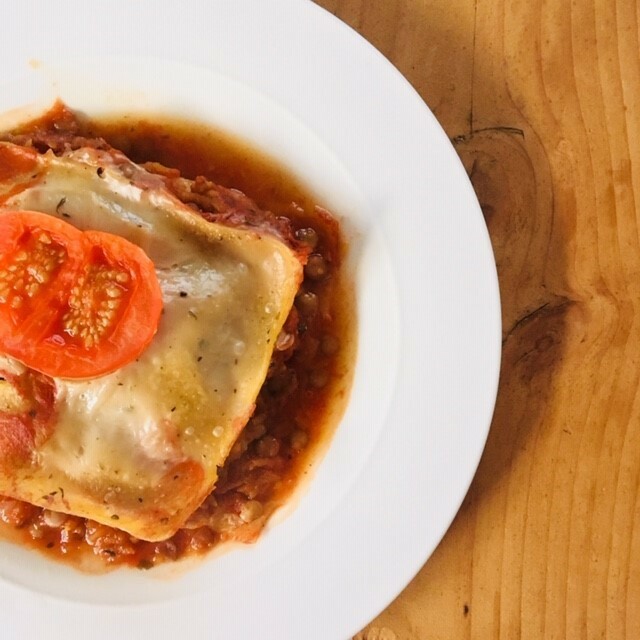 This lasagne is total comfort food and perfect for meal prepping ahead of time! In a medium saucepan sweat onion until soft, 8-10 minutes. Add garlic, squash and herbs to the onion mix and cook for 2-3 mins. Next add lentils, passata, maple and water. Bring mixture to boil, then reduce heat low/medium and cook for 20-25 minutes. Gradually add milk while continuing to whisk, followed by a pinch of nutmeg and salt. Continue to stir sauce over low/medium heat until sauce thickens. Once thickened, remove from heat and allow to cool. Once the lentil mix and white sauce are cooled, construct your lasagne. Start with a layer of lentil mix, then a thin layer of white sauce, followed by a layer of lasagne sheets, then another layer of lentil mix, another layer of lasagne sheets and finally top with a layer of white sauce. You can sprinkle cheese on top also. Bake in the oven at 180c for 20 minutes or until lasagne sheets are tender all the way through. Recipe will store well in the fridge for 3-4 days or portion up and freeze for up to 3 months.